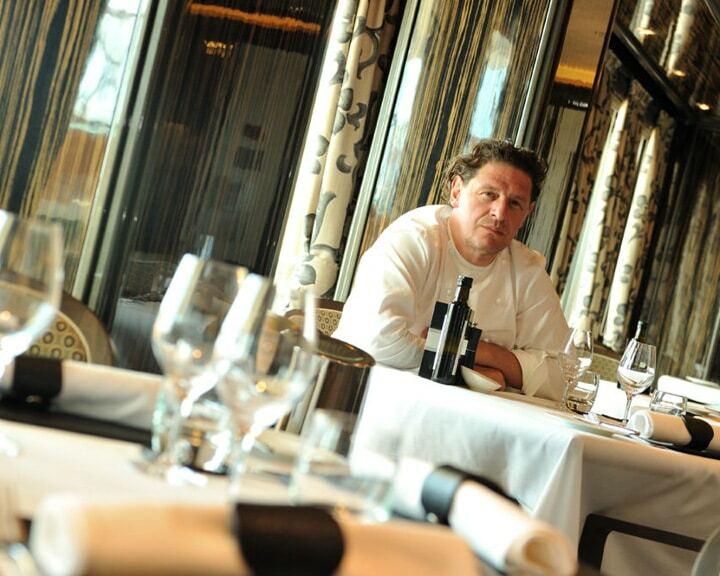 It’s not easy being Marco Pierre White. Especially in India. 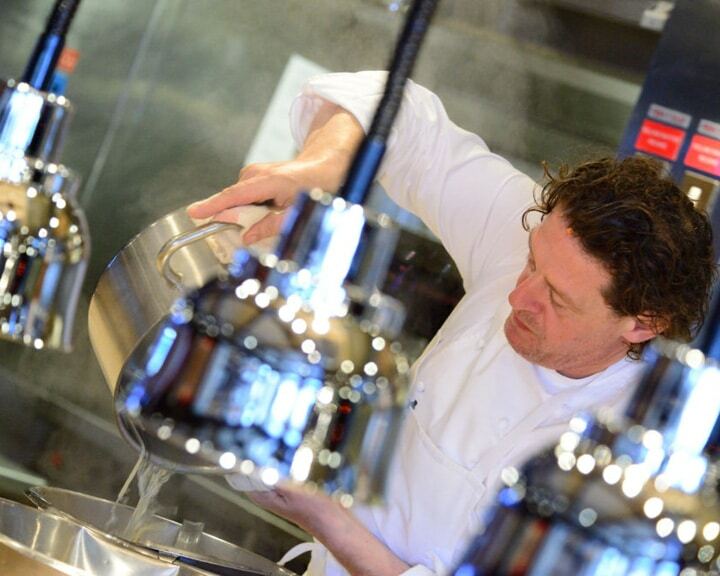 The day he landed here, there was an uproar—restaurateurs queued up to vie for his attention, students were overwrought trying to contain their enthusiasm, and journalists glossed over his extensive laurels. There were autographs, compliments, admiration and so much love in one room—and not once did White hesitate. There was no pretence, just a reputed chef taking in all the love the country has to offer him, and giving, in return, a glimpse into the passion that has fuelled his career. 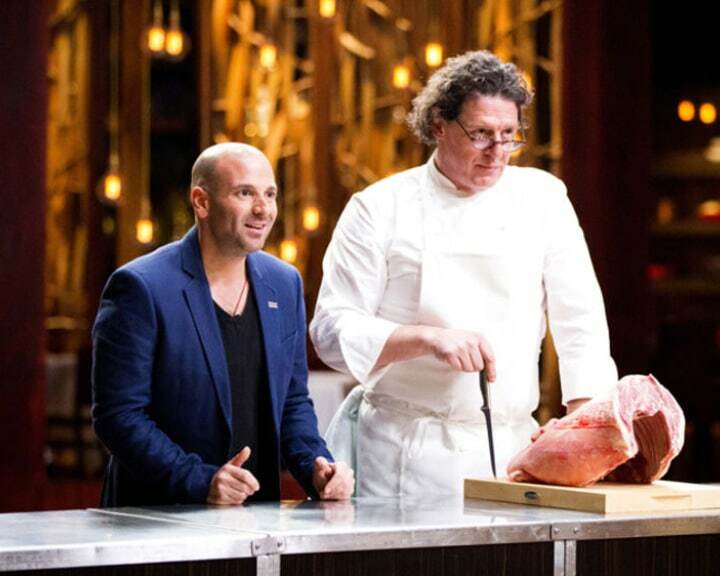 The country has only recently woken up to Chef Marco Pierre White’s genius—thanks to Masterchef re-runs and his refreshingly honest feedback there. The original superchef and enfant terrible of British cooking was here in India for three days for the ‘Masters of Marriott’ initiative that was launched with him at The St. Regis Mumbai. Together with World On a Plate, India’s first international food festival, ‘Masters of Marriott’ will celebrate the culinary mavens of Marriott International by bringing together Marriott’s in-house F&B talent and international celebrity chefs in one place. 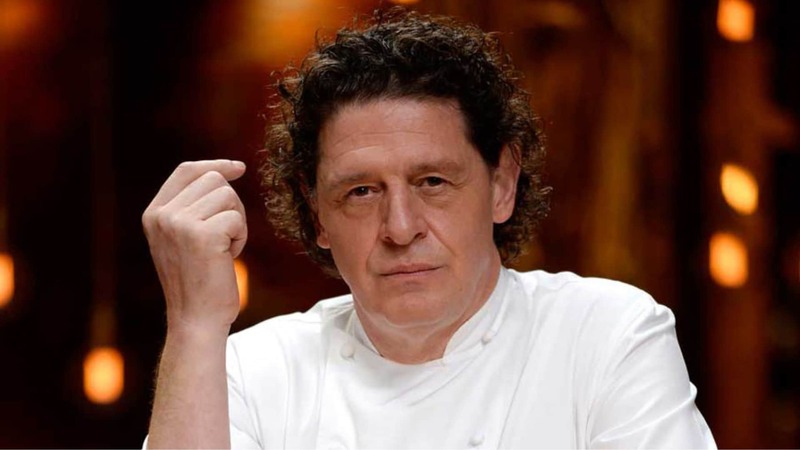 However, the real reason, we suspect, that Marco Pierre White was here is because he truly loves India. In an interview with him over an intimate breakfast by the poolside at St. Regis, he opens up about what makes him tick, the qualities a chef must have, and why he is overwhelmed by India in the best way possible. What made you consider coming down to India? Apart from the fabulous ‘Masters of Marriott’ initiative, of course. I was sitting with a journalist the other day, and the first thing they said to me was that in an article in 2011, I had said the only place I wanted to go to in the world was India. I have been very privileged in my life, I’ve travelled a lot because of my work. But to be honest, the only place I wanted to go to was India. Why? I can’t answer that question. Sometimes, things pull you in. India is emotional for me. What have your first impressions of India been? I have to say, the most magical journey of my life happened between the airport and the hotel in Mumbai. In an emotional and spiritual sense, I just took it all in. The thing that touched me the most was the smell, the sweet smell of spice, and of food being cooked and served. What will you remember most about Indian people? The people of Mumbai, the whole of India—they love to cook, they love to feed you. Whoever I met, they all served me wonderful meals. And then, to see all the young people from catering schools; that was amazing. I have never seen enthusiasm like this in my life. They want to learn, and they want to do well. What do you love about Indian cuisine? For me, Indian cuisine is very sophisticated, but not in the most obvious sense. And that’s what I find interesting. Without realising, mothers and grandmothers here cook so well—their understanding of spice is amazing. How’s the future of Indian restaurants looking for you? Gauging from the college students and chefs I’ve met, the future of restaurants in India is going to be enormous. To be honest, it’s the enthusiasm that is infectious. That’s a good sign. What’s the best thing you ate in India? I went for breakfast in the hotel here and asked the chef to just give me a traditional Indian breakfast. Whatever he served, it was like a banquet. That was extraordinary. India is such a massive country, there’s a lot of variety, different ways to cook according to regions and so many interesting cuisines. What’s the difference between the Indian food you eat in the UK and here? In the UK, Indian food is very hot—Jalfrezi or Vindaloo are both a bit hot and spicy. The best Indian food I ever had in the UK is not from the restaurants, it’s from the homes of Indian chefs and Indian friends. And it is the same here: the food here is delicious—it’s clean, simple and effortless. And mostly, it’s hearty. What’s the best quality a chef can have? The best cooks and chefs all have one thing in common—they love to eat. And that’s what food is all about, it’s about eating well. That’s the foundation of real cooking.